December is the month when the futility of all your new year resolutions hits you in the face. Your waistline continues to expand, just like the Universe. And all those year end goodies stare at you, asking desperately to be eaten. It's a tough life. I say send your resolve for a much needed vacation. It's not doing much sticking around. And plunge into the dark and delicious abyss of gluttony. I am about to give you yet another reason. A Baileys infused Tiramisu that's ready before you can say, "Calories". I have been making this often, and so far the only complain has been that it gets over too soon. It's all the sugar high you need to keep up your festive spirit, and get grinning like a candy addicted adult that you are, deep down. What you need for your fresh guilt trip. 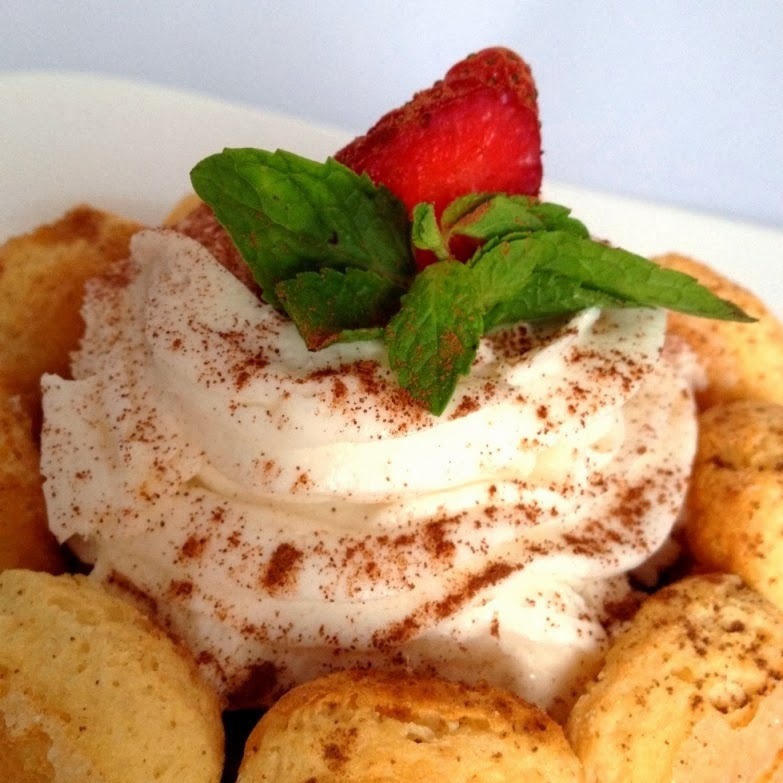 Dip the ladyfingers biscuits in the coffee liqueur mixed with about 3/4 cup of Baileys, soaking on each side. Ensure that they are damp, not soggy. Line a glass dish with half the biscuits. Separate the eggs. Whisk the two yolks with sugar until mixed well, then fold in the remaining 1/4 cup of Baileys. Fold in the mascarpone, till mixed well, into a mousee like mixture. Whisk the egg whites until they are frothy, then fold them into the mascarpone mixture. Spread half of this mixture on top of the biscuits layer. Repeat with the remaining layer of soaked ladyfinger biscuits. Top this layer with the remaining mascarpone mixture. Cover your dish with clingfilm, and leave refrigerated for a few hours, or overnight. When you are ready to serve, sprinkle a bit of the cocoa powder through a tea strainer on top of your tiramisu. Btw, I made this one for the husband. Started his birthday celebrations almost a week ago, and this was the first dessert I made for the same. This uses the same recipe, but lesser quantities, because I was making a tiramisu for just the two of us. Will soon share more celebration pictures. Oh my! Gorgeous, amazing, marvellous...YUM! 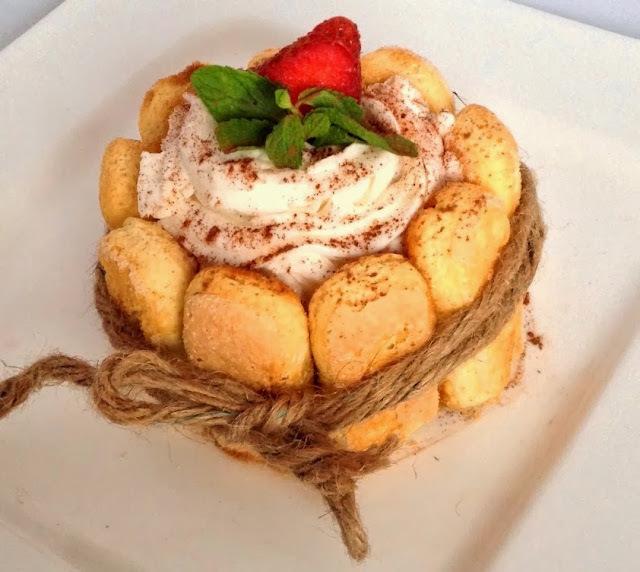 One of my favorite desserts and I love the creative presentation, looks sooo delicious! Your comment meant a lot to me...Thank you dear. Yum, this looks so amazing and delicious!